Taking care of properties means wearing several hats: cleaner, maintenance person, landscaper, and even construction crew. 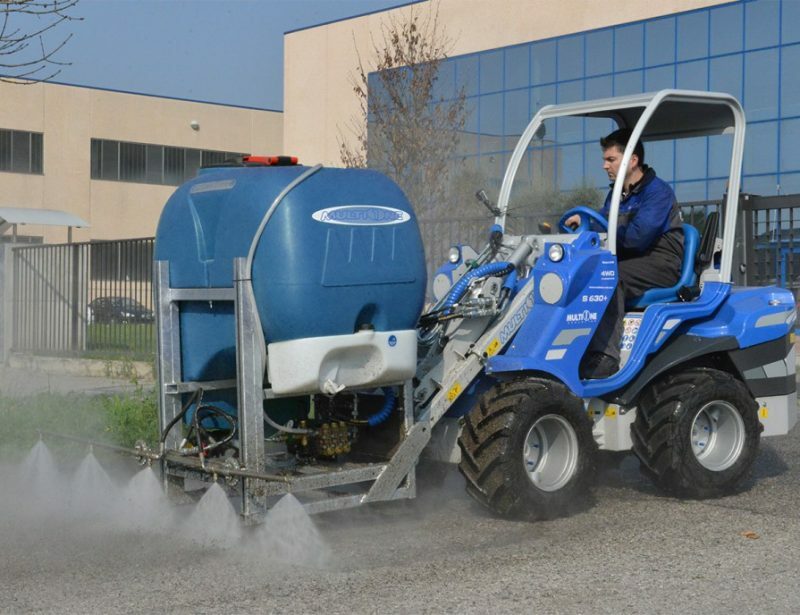 Thanks to the variety of attachments available, MultiOne’s mini loaders can help you with any of the varied work your job throws at you. The First Thing You’ll Notice When You See a Mini Loader is Just How Small it is. Everything including ballast weights is built into the frame to keep length to a minimum. 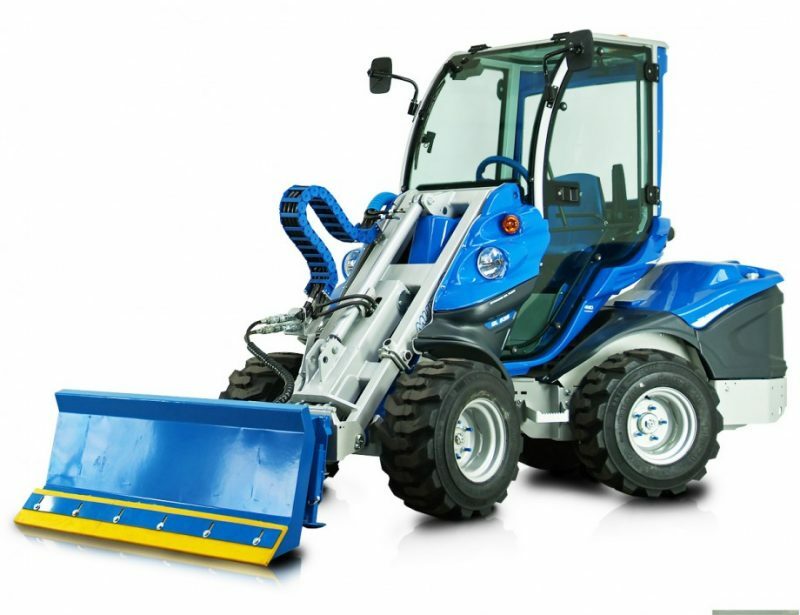 The operator sits above the loader’s engine and drive system, providing an excellent view and allowing the designers to shrink the dimensions even further. 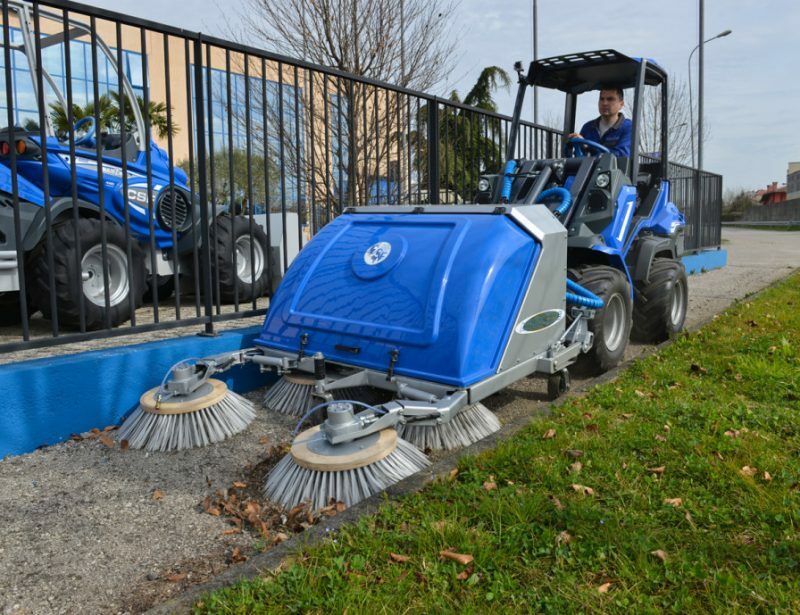 Once under way, the wheels are turned by independent hydrostatic motors attached to a hinged base, allowing tight turns with minimal scrubbing. 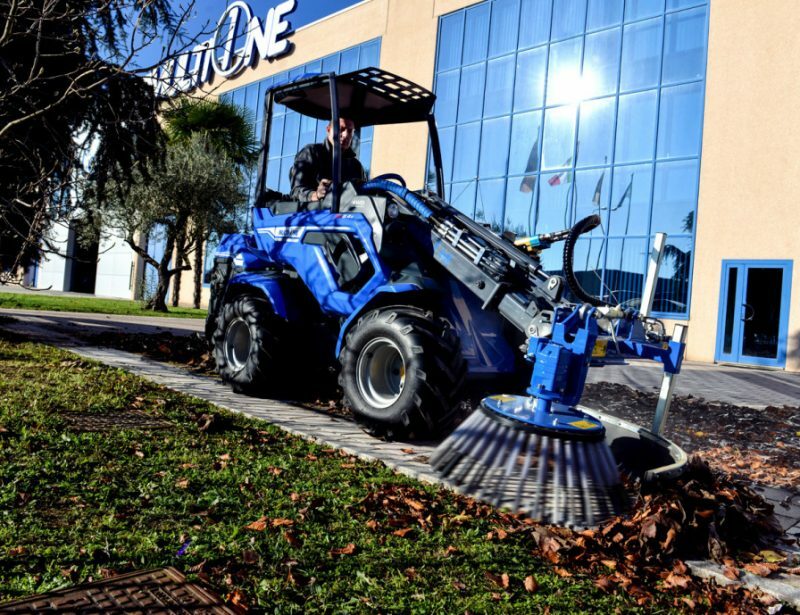 MultiOne offers their loaders with a selection of tires including garden and skid treads for operating on turf and cement surfaces. 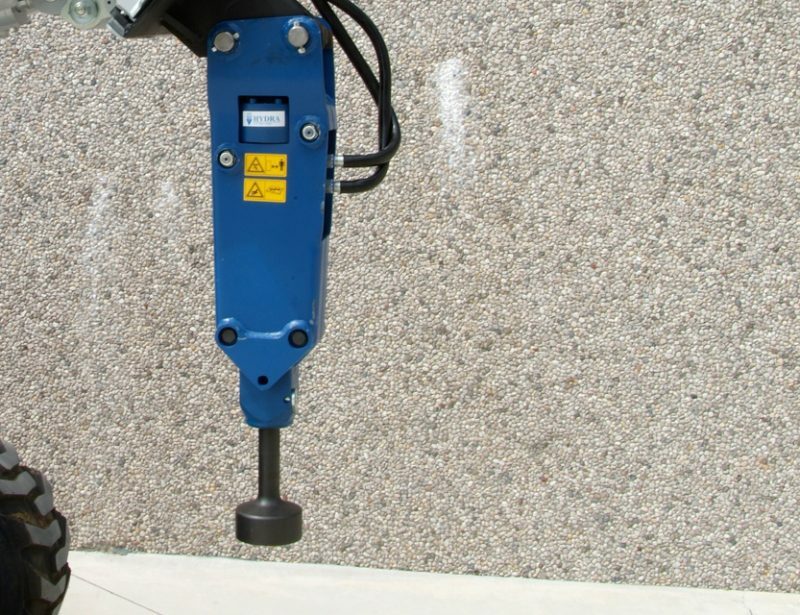 Attachments are mounted directly to the boom, making them easy to maneuver and operate. 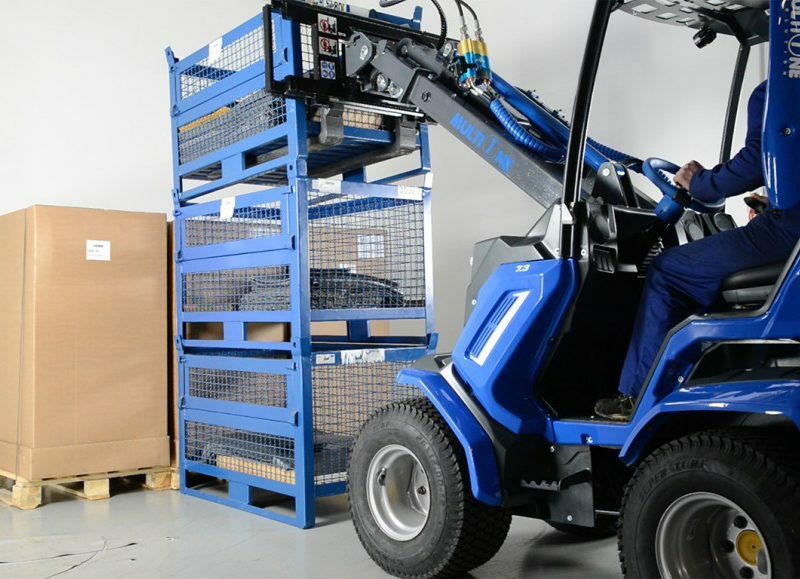 They’re powered by the loader’s hydraulic system, which means full control is available from the joystick next to the steering wheel. When you want to change tools, just lay the current attachment on the ground, disconnect the hydraulic hose connector and mount plate, and drive to the next attachment. 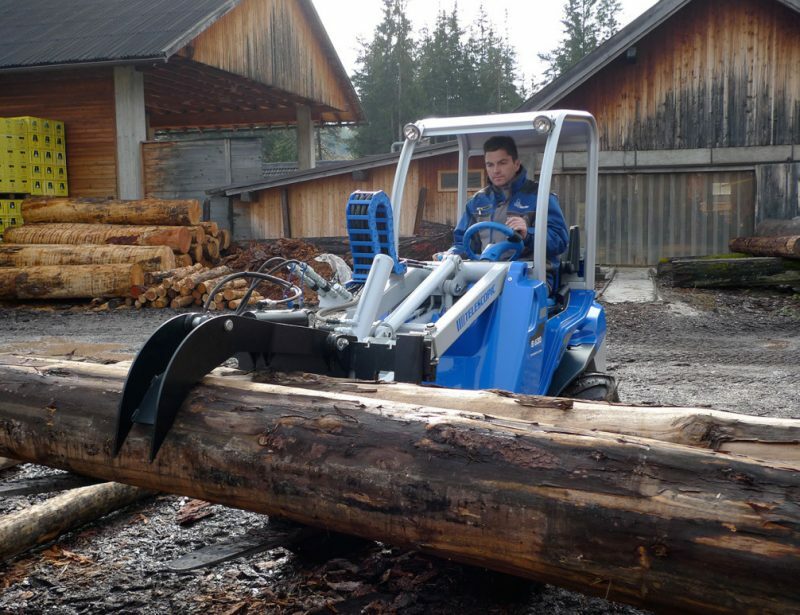 Most attachments are self-supporting, and with the optional automatic latching plate available on some models, you can mount attachments to the boom without leaving the cab. How do the Attachments Help You at Your Job? Most of the year, you’re waging a battle against dirt and lawn debris. 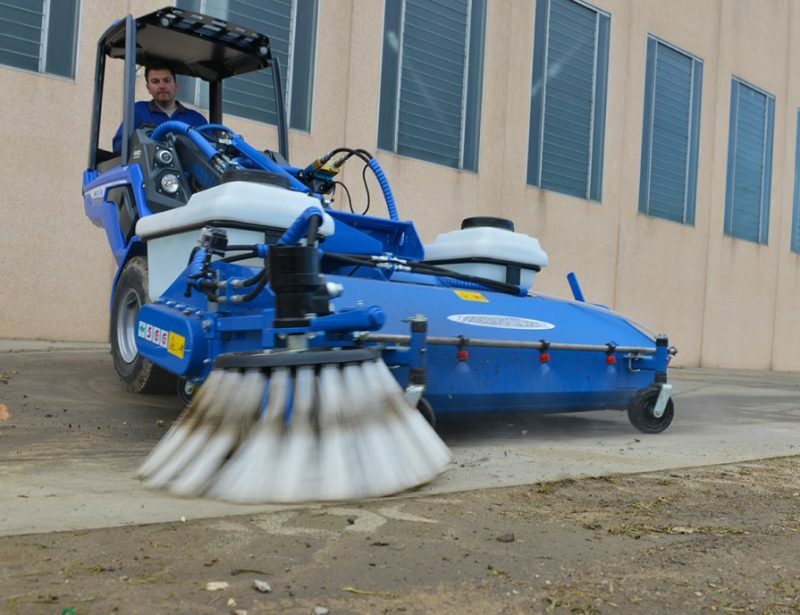 MultiOne has you covered with sweepers, brooms, vacuums, and pressure washers to keep everything clean. 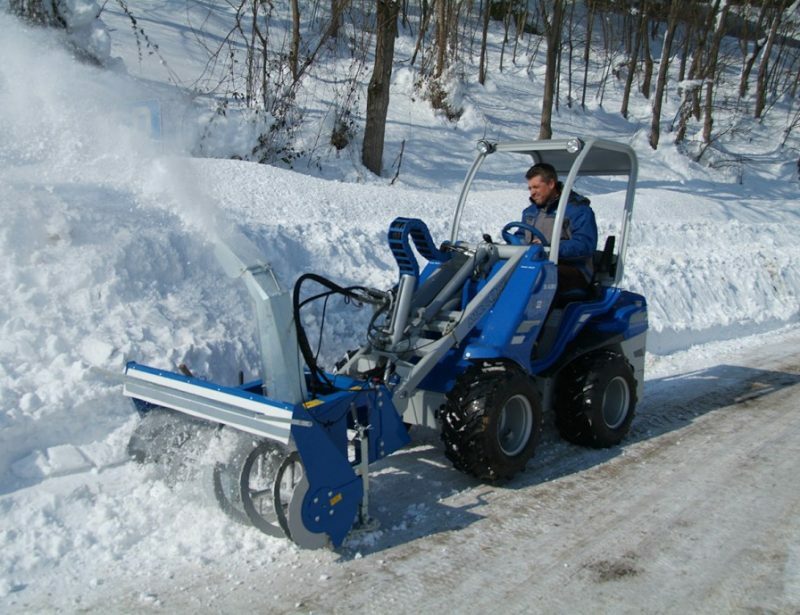 When winter comes, you can keep facilities open with an assortment of snow moving tools. Plows, snowblowers, brooms, and ice control product spreaders are available to remove the snow and keep ice at bay. Maintaining a large property or campus usually involves repairs to tall structures including lamp posts and multi-story buildings. MultiOne makes a work platform that lets workers reach high windows and light fixtures as well as a jib crane for delivering materials to roof tops. 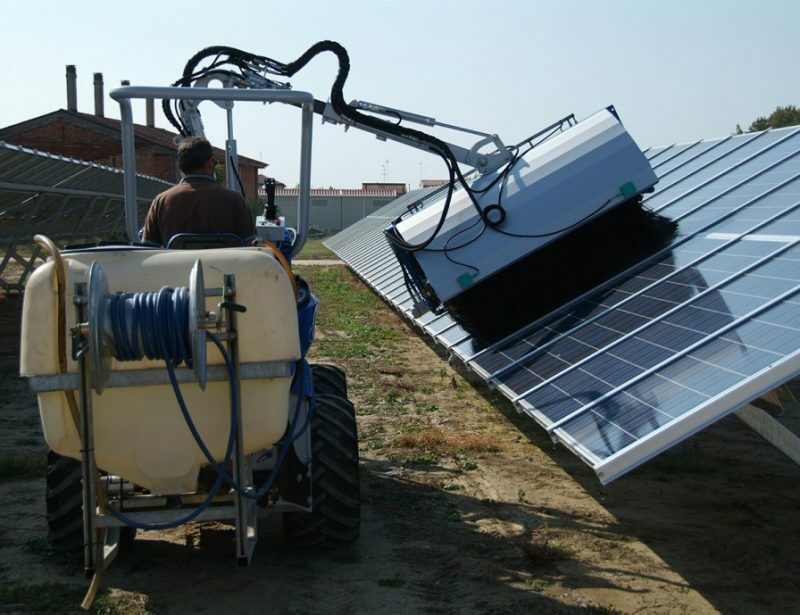 Awkward to reach surfaces like tunnels and barricades can be cleaned using the solar panel washer, while the reach of the boom also enables other attachments to be used on high surfaces. 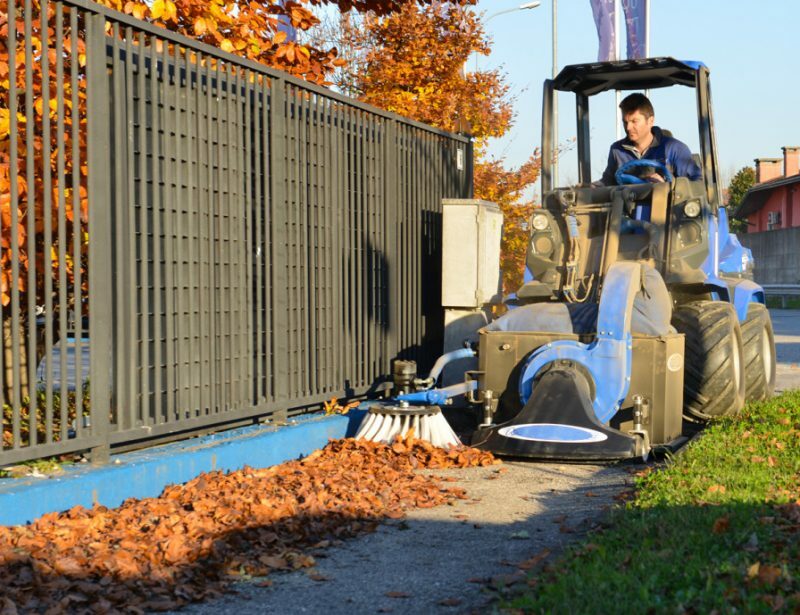 For other jobs, your loader can be used to deliver or remove any material. 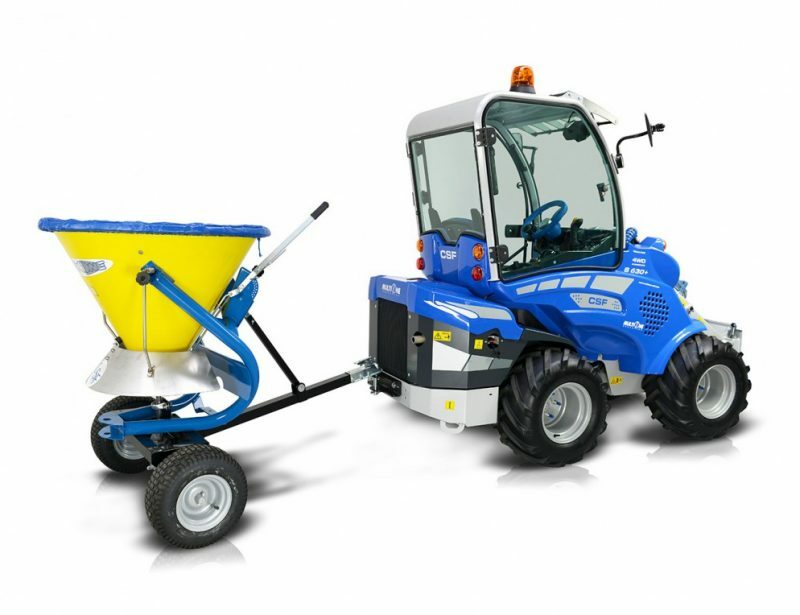 There is a range of buckets and forks with features including grapples and side shifting pallets to handle any load from gravel to barrels. 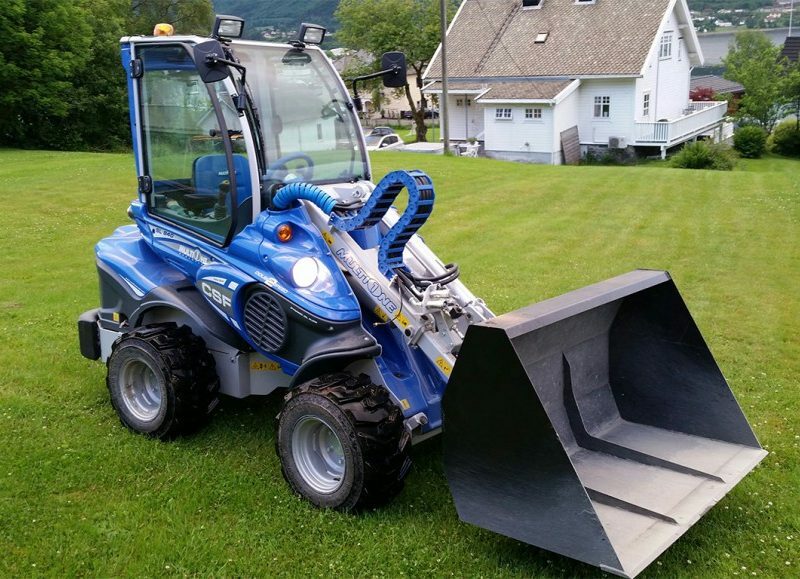 If You Have a Loader, You Have Access to all Compatible Attachments, Letting You Outfit it to Best Suit Your Needs. 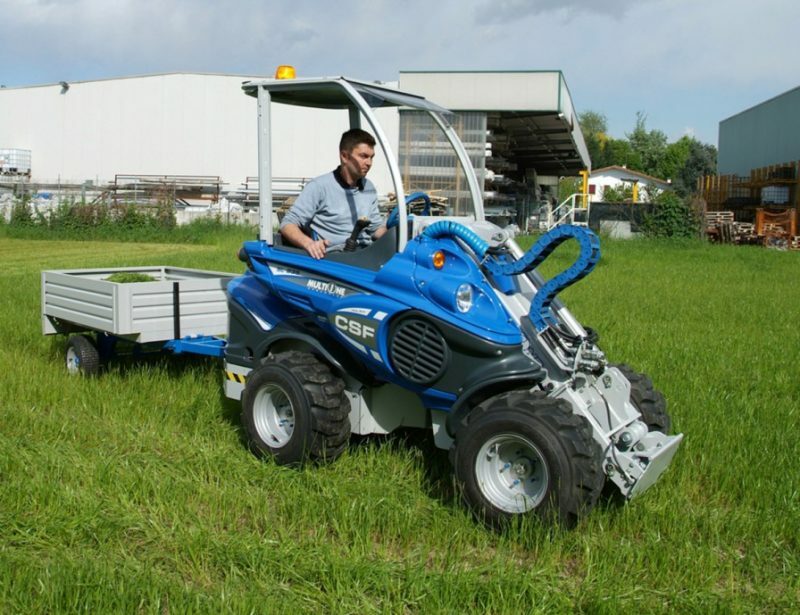 If landscaping is part of your duties, you can outfit your loader with mowers, hedge trimmers, and other implements. 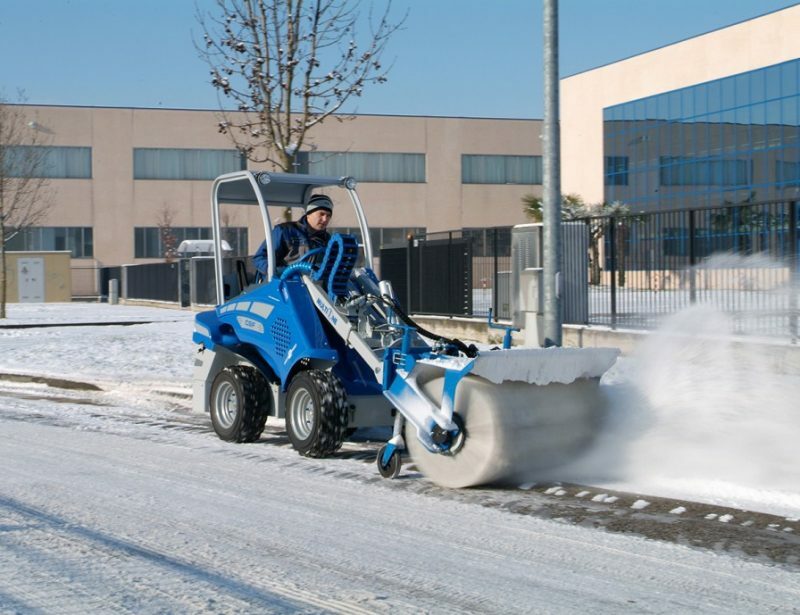 Need to make repairs to sidewalks and parking lots? There’s equipment for that, too. 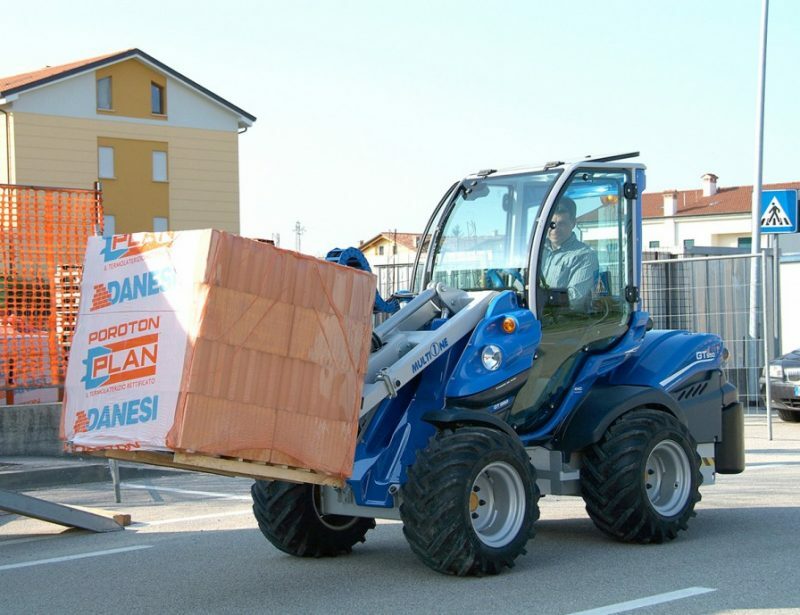 No matter what you have to deal with when maintaining property, your MultiOne mini loader can help you get the job done.